Ron Dante - 40 Years of Sugar! The month of August brings several days worth celebrating, particularly for fans of Ron Dante and The Archies. First of all, the 22nd is Ron Dante's birthday. And, on a personal note, every August 28th I recall that day back in the year 2000, when Ron and I met in person for the very first time. 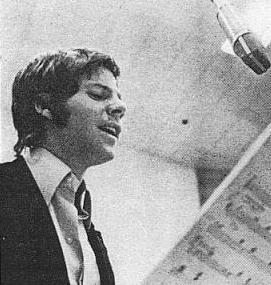 But August is also the month when The Archies' "Sugar, Sugar" was ascending the pop-music charts - and 2009 marks a very special anniversary. 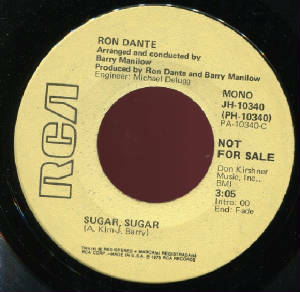 Ron Dante recorded a dance version of "Sugar, Sugar" in 1975 on RCA Records - arranged and co-produced by Barry Manilow! To hear it, click on its title in the player below. Song will continue playing over and over unless the player is paused (or you leave this page). There were several key events that took place in 1969, making it an important year in cultural history. 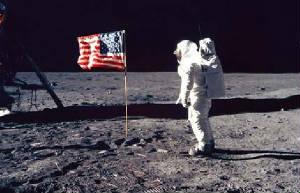 On July 16, Apollo 11 was launched from the Kennedy Space Center, Florida, and, four days later, astronaut Neil Armstrong became the first human to set foot on the Moon. 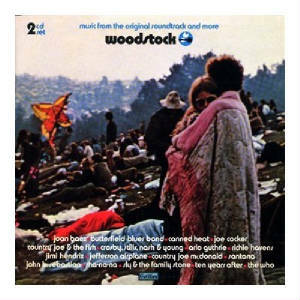 The following month, the Woodstock Music & Art Fair took place on Max Yasgur's farm in Bethel, New York. 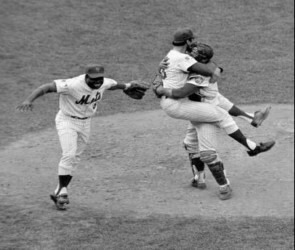 And, sports fan or no, who among us can forget the triumphant World Series win that October for the team that, as a result, would be dubbed the Miracle Mets? It was an exciting time to be an American, particularly an American living in the New York/New Jersey area of the country, as I was at the time ... and as was a young man by the name of Ron Dante. 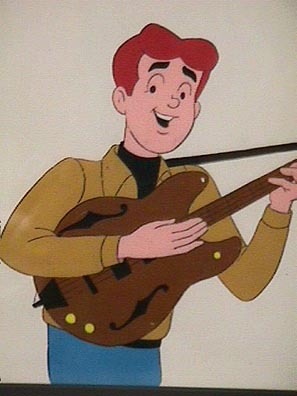 Ron Dante had been tapped to become the lead vocalist for an animated band called The Archies in the summer of the prior year. Their first, self-titled LP (considered a "soundtrack" album since it consisted of the tracks used on the Saturday morning cartoon series, The Archie Show) had been released on Don Kirshner's Calendar Records label in the fall of 1968 and had spawned the group's first Top 40 single, "Bang Shang a-Lang." 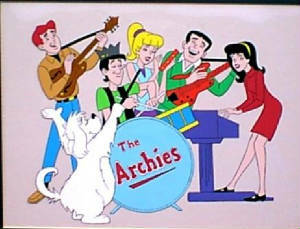 Now it was nearly a year later, the TV show was heading into a second season, and The Archies had two singles under their belt and a second album on the way. Unbeknownst to Ron, producer Jeff Barry, or any of the other principals involved, with the release of "Sugar, Sugar," written by Barry with Andy Kim and featuring lead vocals by Dante and Toni Wine, the group was about to knock the proverbial ball out of the park. Like the previously faltering Mets, The Archies - derided by critics as a "fake" group - would have the last laugh. "Sugar, Sugar" entered the Billboard Top 40 on August 16, 1969 (interestingly enough, on the second day of the Woodstock Festival) and hand-clapped its merry way right to the top of the charts, which it reached on September 20 and where it remained for four weeks. The tune would go on to receive a gold record and RIAA Record of the Year honors. That "Sugar, Sugar" should sell at such high numbers and receive such accolades during the height of the "hippie" and psychedelic era is solid proof that good music is good music, and that maybe, just maybe, people were hungering for a return to a more innocent time and for songs with more innocent lyrics. The record-buying public had spoken, and the powers that be had listened. Now it's forty years later, and the original recording of "Sugar, Sugar" has never been absent from the airwaves. It is always being played somewhere, from oldies radio stations to television shows, to movies and commercials and even on greeting cards. It's a worldwide phenomenom and an undeniable part of the fabric of all our lives. Just start singing "Sugar, ba ba bah ba ba ba" in mixed company and it's almost inevitable that eyes will light up with recognition and you may even hear an answering "Ah, honey honey" from someone. How times have changed in the forty years since. Back then, there was no cable television, no satellite radio, no commercially available VCRs or computers and certainly no Internet ... and color TVs and bass-rich stereo audio equipment were still relative luxuries, out of reach for many working people. 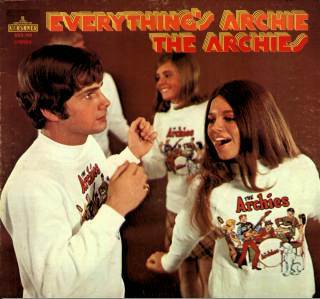 I watched The Archie Show on my parents' black-and-white TV - more than one television in the home was also a relative rarity - and listened to my Archies records on a little plastic portable record player that I could close and carry by its handle like a small, rigid grey briefcase. It looked more like a toy than a phonograph, but it did the job. Now, I can listen to "Sugar, Sugar" on compact disc and watch episodes of The Archie Show on digital video disc (DVD), both of which were also unheard of in 1969. Technologically speaking, we've come a long way. But have we progressed? A lot of today's music is discordant and incomprehensible, its lyrics laced with obscenities, its performers gyrating half-naked on stage and appearing in music videos containing explicit scenes that would have gotten them banned from television back in the day but which now barely raise eyebrows. In the recording studio, digital editing has made it possible to correct any flubs with a few mouse clicks. Singers don't necessarily even have to be good singers, because recording engineers can fix any flats. 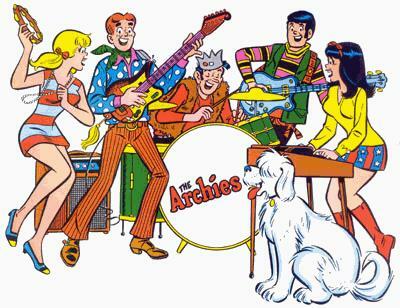 None of this was the case when The Archies were at the rightfully earned top of their game. Singers and musicians had to be note perfect; the only "fix" for a bad take was to do it over, even if it meant paying for additional studio time. Composers really had to compose, producers and arrangers really had to produce and arrange, and singers really had to sing. This is why The Archies' "Sugar, Sugar" has endured for the past four decades and why it will continue to endure for the next four and beyond: It represents a standard of excellence from an era in which excellence was a reward for hard work and dedication, not a given. This, plus the fact that "Sugar, Sugar" is just a darned fun tune to listen to and sing along with. Sometimes that's reason enough.